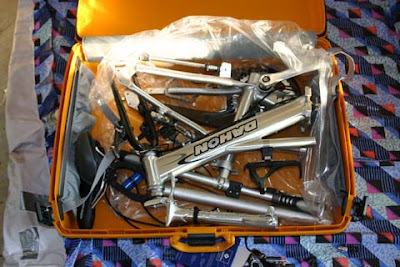 It is with mixed emotions that I write about my 2003 Dahon Helios XL folding bike. I've had this bike for 4 1/2 years and it has served me well, but I've decided to replace it. Tomorrow I should be receiving a brand new Bike Friday Pocket Rocket. The bike has been great and it has served its purpose well, but it's far from perfect. It works well to get around town, but it's not great for long rides... or fast rides... or uphill rides... or downhill rides. It's a bit on the heavy side. The internally geared hub is low maintenance, but it has a lot of friction, it's a pain to install and remove from the bike, and it's difficult to adjust properly. My new Pocket Rocket should shine where the Dahon has fallen short. internally geared planetary rear hub... with a compass in the stock and this thing which tells time. 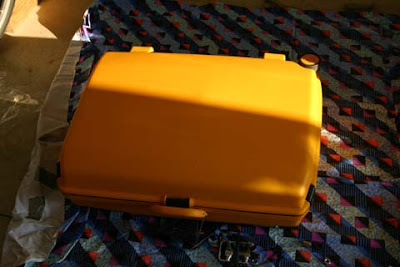 Can't wait for the arrival of the Scooty Puff Jr. (ie, Bike Friday). I'm from Switzerland planing a 3-month trip to the USA. 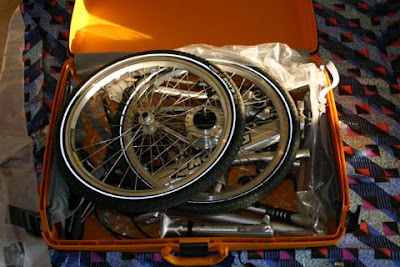 I want to travel by Greyhound or train and was thinking about buying a folding bike to get around in towns. Now all of my friends who have been in the States jet (I haven't) tells me, that i would be by far the only one on a Bike in the US. It is legal to ride on nearly all roads in the U.S. which are not restricted access (i.e. expressways), as well as many sidewalks. Having said that, it's not always wise to ride on many roads. Drivers can be downright hostile if they feel a bicycle is slowing them down for a considerable amount of time for no good reason. 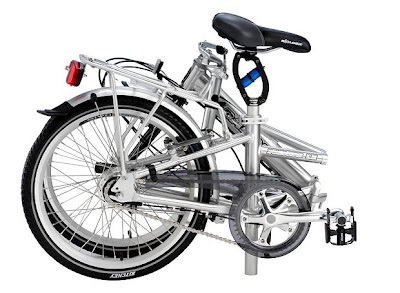 When I googled Dahon Helios this was link #6. 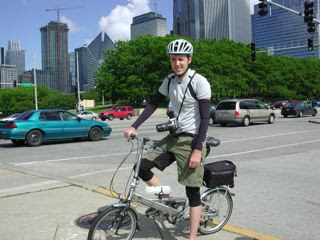 Do you know what size wheels the Dahon has? 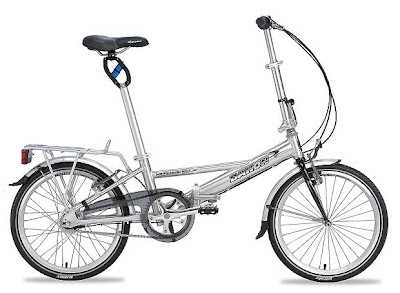 The Dahon website talks about 16" or 20" on its current bikes, but I measure 18.75".